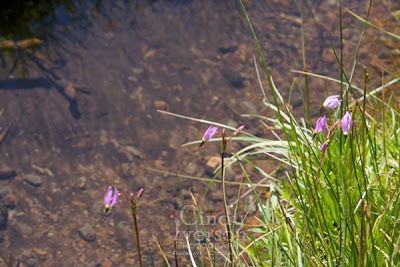 from the last post "Wildflowers of Donner Pass" ? Click here to satisfy your curiosity. I went there about 8 years ago. It's a sobering event. Love your blog. Very interesting synopsis of Donner Pass. I read about this years ago--but the article focused mostly on the supposed cannibalism. This gave a more balanced account. It still looks like a beautiful place. When we lived in the mountains of Wales, the snow would come suddenly bringing the power lines down for days. How much more awful it would've been if we had had to go out and collect wood each day to keep warm knowing we were running out of food. We do have it easier these days and take so much of it for granted.